Here’s the real thing at last. The Porsche Panamera hybrid has been on the market for two years, but its meager 34 kW motor was not convincing for fans of electric mobility. This has been upped to 70 kW (95 hp), meaning it’s now possible to do all city driving in electric mode, and that changes everything. A larger battery was also needed, and there’s one. When the standard hybrid has a 1.7 kWh unit, this plug-in model has a 9.4 kWh lithium-ion pack. 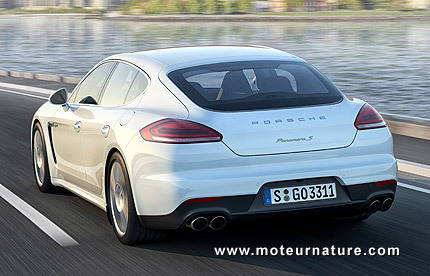 Porsche says it’s good for up to 21 miles, but we know this is highly theoretical. 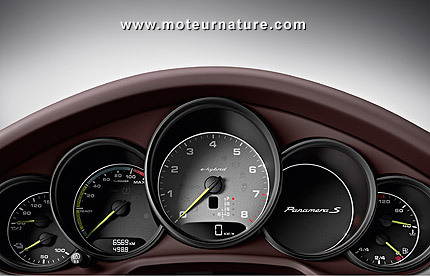 What’s real and important is that the tachometer is right in the center of the dashboard (like all cars Porsche has ever built), whereas the electric motor powermeter, which is less important to Porsche drivers, is on the left. But make no mistake, this is a true plug-in hybrid. 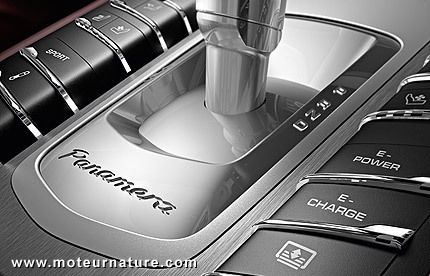 Electric mode is available from the center console, and there’s also a charge mode if the driver wants it. But it’s in hybrid mode that this Porsche delivers its best performance. 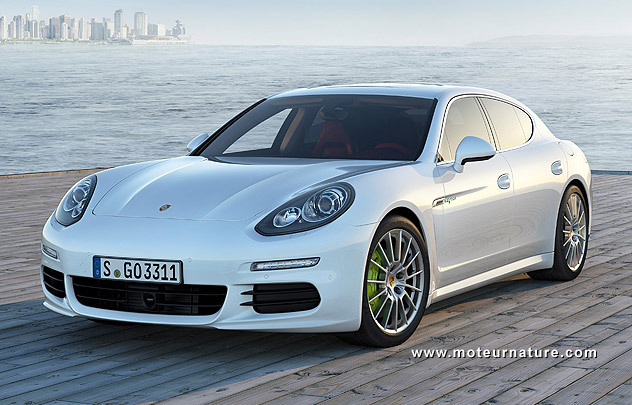 Combined power is 416 hp, and the driver of this Panamera S E-Hybrid will go from 0 to 62 mph in 5.5 seconds. Top speed, where the V6 is the most needed, is 167 mph. Good for the autobahn. So the combination of a 3-liter V6 engine and a 70-hp motor seems successful, but we will have to lament one more time the European method of measuring fuel economy of plug-in hybrids. This car officially gets a 74 mpg rating in Europe. We doubt a Porsche driver will get anything this good. And it will be much worse if the driver forgets to plug, or if he just doesn’t bother. People looking for economy will certainly plug every night, but in a car which costs more than $100,000 saving money may not be an important question. But what will matter is that when caught in bumper to bumper traffic, drivers of this Porsche Panamera S E-Hybrid will not use any gas. That will be smart.